VMWARE VMWORLD — With an expected surge in the use of high-resolution cameras for surveillance, Dell Technologies on Tuesday introduced its first surveillance offer – the IoT Solution for Surveillance – via its Edge and IoT division. Not only are more companies across all industries deploying cameras, they’re increasingly looking for integrations with IoT as well as the data center, thanks to new possibilities in surveillance with higher-definition, or resolution, cameras. “We’re not just seeing this in governments, worldwide, but we’re seeing a growing opportunity in education, higher-education campuses, health care, safe cities, stadiums, airports and for digital evidence,” said Ken Mills, general manager, surveillance and security at Dell Technologies. “Every vertical [and] every customer segment [are] dealing with this transition from point solutions in the surveillance market to enterprise-class, data-center-ready solutions. The vendor solicited feedback from customers and found they are using more cameras. They’re also dealing with increased storage and data-retention requirements that could span from months to 10 years — or more. “There’s a dramatic shift in the amount of storage and compute power that’s required to support these applications,” Mills said, as well as a desire to integrate IoT sensors with surveillance footage. Over the past few years, customers are also increasingly interested in integrating computer vision and artificial intelligence (AI) into their platform for applications such as traffic flow, retail and public safety. 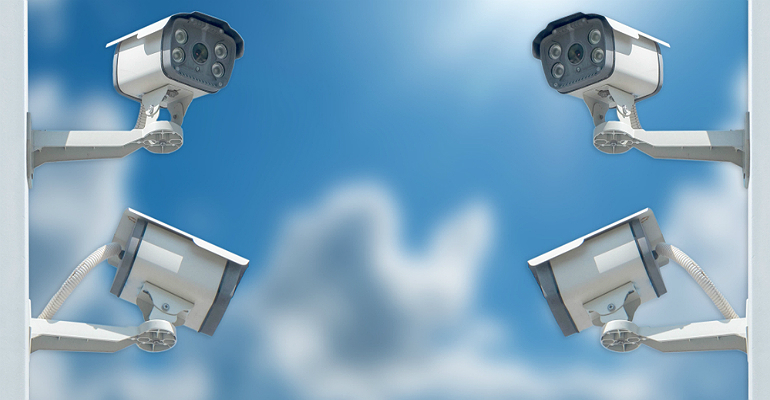 Dell says its IoT Solution for Surveillance simplifies surveillance in a complex world. The offer is built with best-of-breed technologies from the Dell companies, such as VMware, Dell, and Dell EMC, and also uses expertise from RSA and its open-source community, according to Mike McDonough, development leader, IoT solutions division, Dell Technologies. McDonough says Dell is building switches designed specifically for surveillance applications that can be managed, but noted that storage is the core of the solution. The core is designed with three tiers of storage: fast cache, on-premises economy storage and cloud storage, resulting in an engineered solution that is integrated from the camera to the cloud. Rapid return on investment thanks to the open architecture that allows for customization with choice of technology, purchasing and configuration. It’s flexible to adapt to changing technologies or industry regulations to meet data needs today and in the future. Reduced risk as the Dell EMC Surveillance Validation Lab tests hardware and ISV software solutions together in extreme simulations to ensure they will stand up in the real world. Integrated security with built-in measures such as microsegmentation (NSX-T) and the ability to push over-the-air (OTA) updates and security patches in real-time to all surveillance devices from camera to cloud. It also will include holistic management capabilities across IT and operational technology (OT) concerns through a combination of VMware Pulse IoT Center and Software Defined Data Center. Greater reliability with scalability from hundreds to thousands of cameras and sensors. The solution offers an automated, fault-tolerant approach to scaling from 300TB to 50PB+ on Dell EMC Elastic Cloud Storage for private, on-premises, off-premises or hybrid needs. High availability and zero data loss will be guaranteed with vSAN RAID 5/6 across flash and disk. Additionally, ESXi Enterprise Plus enables high availability and disaster-recovery services. The surveillance offer is the first use case to which Dell Technologies has applied computer vision.